Theresa Shabazz of Tampa was convicted of welfare fraud 32 years ago in her home state of Wisconsin. After serving 2 years’ probation, her voting rights were restored. “Then I came here and I couldn't vote,” she said of her 2016 move to Florida. “I couldn't voice my opinion on how I felt about things." On Tuesday, Shabazz walked out of the Gilder Elections Service Center in Tampa wearing a smile and a sticker emblazoned with an American flag. It read, "I Registered to Vote." I feel that my vote matters,” she said. “I want to make sure that when the next election comes, that I can vote." Shabazz is one of more than 1 million Floridians with felony convictions who could be eligible to vote. Before Amendment 4 was passed in November, Florida permanently barred those with felony convictions from voting, and granted the governor the authority to restore voting rights. Now, Floridians who have completed all terms of their sentence including probation will have their voting rights automatically restored. The new law does not apply to people convicted of murder or sexual offenses. The Florida Rights Restoration Coalition is among the groups helping people who call themselves ‘returning citizens’ register to vote. Connie Burton of Tampa helped shepherd some through the process Tuesday. She said voter registration is just the first step in ushering felons into the democratic process. "Hence forth, it’s going to be, 'Dig in,' because we've got to get our people politically educated and help them understand how to use their power that's going to best help them on a personal level and their community as a whole,” she said. Dia Suarez, a 42-year-old volunteer with the FRRC, said she spent half of her life in prison after being convicted of organized fraud in Miami. Suarez was released just over a year ago and is currently on probation. She can't register until that's completed, but said she wanted to help those that can. Last month, Gov. Ron DeSantis said he wanted to wait to implement Amendment 4 until the Legislature convenes in March. But advocates say the measure's language is clear and does not require enabling legislation. Municipal elections will be held in Tampa on March 5. The deadline to register to vote is Feb. 4. 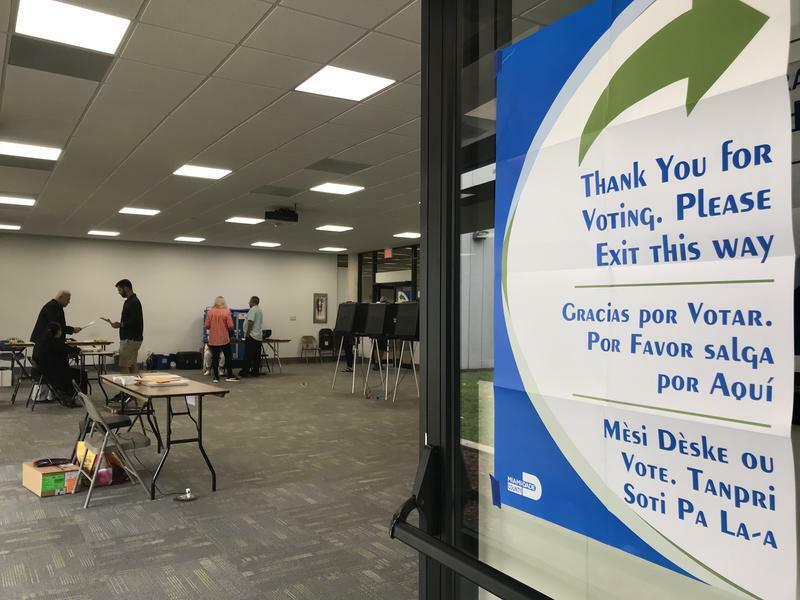 According to the Hillsborough County Supervisor of Elections office, 68 people completed walk-in registration applications Tuesday and more than 140 online voter registration applications had been filled out by 5 p.m. During the entire month of January last year, the office received 509 total walk-in applications and 103 online applications.